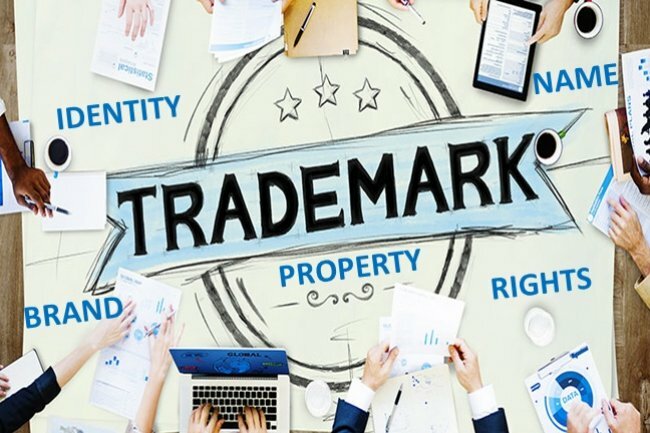 Normally, most of the people out there feel that once they have filed the trademark objection reply the process of obtaining a trademark is but a mere formality. However, it is not necessarily like that. 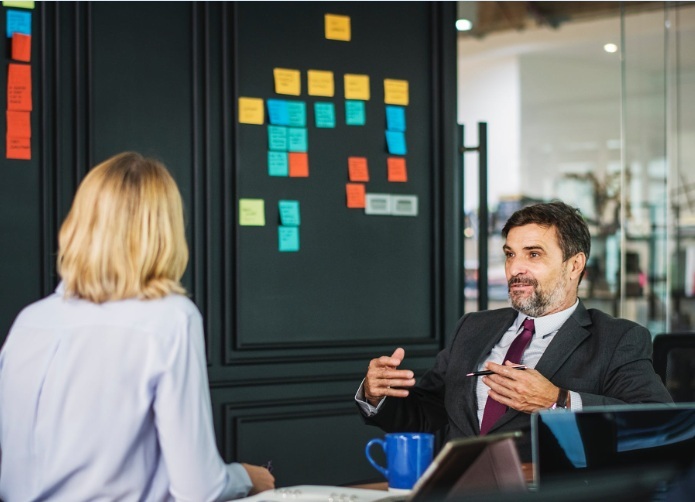 If the trademark examiner is not satisfied with your reply to the trademark objection report he may ask you for a formal visit where you can clarify your reply. This process is also referred to as trademark hearing. The trademark hearing is an important one. It is normally supposed to be the final step that you take in order to get your trademark registered and this is the reason why it is advisable that you do not miss it. If you wish to know the status of your trademark application there are always websites you can visit to this http://www.ipindia.nic.in/. Over there you can check the current status of your trademark registration application. From these websites you would also come to know if a hearing notice has been issued in your name or not. In case one has been issued indeed you can always download it and use a mark so that you are able to remember the date. The term show cause hearing is basically the notice of the trademark hearing that is sent to you when the examiner is not happy with the arguments that you have put forward in support of using a mark in reply to his trademark objection letter. How are trademark hearings fixed? Normally, it is the examiner who would issue a hearing notice to you. The notice would be sent to you on the service address that you have mentioned in your trademark application. However, if the service address is that of your attorney on record it would be better to follow up with him once you know that such a notice has been issued to you. The hearing can be adjourned when you are unable to attend it for some reason or the other. In these cases, you could apply for the hearing to be adjourned and also ask for the next hearing date if you are not able to attend the hearing on the date that it has been scheduled for. How to get ready for such a hearing? It is very important that once you come to know of the hearing date you get ready for the same. These hearings normally happen regarding the objections that have been stated in the trademark examination report sent to you. The reply that you had sent immediately afterwards in response to your trademark examination report also happens to be important in this particular context. The first thing that you need in this case is a letter of authorization. This is however only applicable when you are not attending the hearing yourself. Through this letter of authorization, you can enable your attorney or any other individual to appear at the hearing on your behalf. You also need an affidavit of usage. It should be prepared properly and list the various details about the brand name that you are using. You also need your TM-16 documents in this case. If your trademark objection report contains any objection that is related to your TM-16 then you would have to carry those papers with you at the time of your hearing as well. Your submissions are also important in this particular regard. You do not necessarily need to carry all your submissions with you but it would be beneficial if you have a record of all your important notes. This should include all your examples and case laws. You can be sure that they would come in handy in case you needed a quick reference of sorts. How to File Trademark Objection Reply in Bangalore? Trademark objection means once the application for registration of trademark is filed, it would be went to trademark registry department for the examination of application to verify the uniqueness and distinctiveness of your own creation. And they scrutinize it in order to determine the accuracy, quality or condition under the provisions of Trademarks Act & Rules. The examiner will examine the application thoroughly by going through each and every Section of Trademarks Act 1999 and Trade Mark Rules, 2002. After verifying the application, if the examiner is not satisfied, he will be object your application for one or more issues. And for that, you should have to file the legal reply to trademark objection which mentioned in raised examination report, on this ground the applicant or attorney has to submit the proper and supportive evidence to the Trade Mark office within the prescribed time (one month). If the reply is not filed in time, your rights to use trademark shall be revoked. To help on trademark objection, we've explained it briefly in this article. At the time when your trademark registration process is being examined by an Examiner there is always a chance that it could be objected to by the official in question. Having an objected status means there could be one or more areas with which the Examiner or Registrar has an issue within the trademark application in question. Normally, the objections are raised under Section 11 and Section of the Trade Marks Act, 1999. Objections in Section 9 are made if the Examiner or Registrar feels that the trademark describes the goods or the genre or if it is lauds the goods or indicates their quality. The objections under Section 11 are made in case the Registrar or Examiner feels the trademark is similar or identical to another trademark in the Trade Mark Registry. These trademarks are normally ones that belong to other similar goods and services. In these cases, normally a Search List is generated by the Examiner or Registrar through a computer. This list contains all the marks that conflict with the trademark in question. A trademark examination report is a sign of the fact that the trademark office has objected to an applicant’s trademark on certain grounds. In most cases it happens because the trademark is similar or in conflict with marks already held by others. Along with this the Examiner also checks if the application has been filed in the correct form or not. In the report the Examiner or Registrar also decides if any condition or restriction is to be applied on the trademark. This is why it is in the interest of the applicant to make sure that the application meets all the requirements that are necessary with respect to registration. Obviously, when the applicant has received a trademark examination report it means that there are some mistakes in the same. In such cases, apart from compiling the objections in the examination report the Examiner or Registrar also uploads them on the Trademark Registry. How to file a response to an objected trademark? Normally when a trademark application is objected to the law, states that a response should be filed within a month from when the applicant receives the Examination Report. When a trademark is objected, it is very important that the applicant puts forth proper arguments in a response that is really suitable. This needs to be done so that the objections can be overcome. After the applicant makes a written submission the Examiner or Registrar the trademark can either be accepted straightaway. Else, a hearing may be announced so that the applicant can in person put forward the necessary and relevant arguments in this regard. In most cases, it has been seen that if proper arguments are put forth such objections can be overcome. It is very important that you know how to file trademark objection response in Bangalore. The applicant can file it itself or get an attorney to do the work on its behalf as well. How to overcome the trademark objections? There are some tips that can help people who are facing issues with such objections and wish to overcome them. In case an applicant wishes to overcome objections under Section 9 it is important that the trademark is proved to be distinctive in an inherent way. One can also overcome objections in this regard by proving the trademark has been able to acquire a unique character because of its usage in an extensive manner. It is for this reason that the applicant has to submit a user affidavit with proper proof. This submitted material should show that the trademark has now become distinctive. In these cases, the applicant should also ask the owner of the conflicting or similar trademark to provide a letter of consent. In fact, it would be well within its right to make such a demand. The term similarity does not only indicate that the marks are similar. It could also indicate that there is a clash in the list of goods and services as far as the marks in question are concerned. So the most convenient way in which one can avoid being refused for registration is to do away with the conflicting services and goods from one’s application. In case the trademark has been rejected for wrong classification of trademark class the applicant would need to file a request in order to make sure that relevant corrections are made. If the applicant feels that the report is a wrong one then objections to the position taken by the examiner can be made as well. If the applicant does not know or does not have experience in this particular regard it is always better to look for help from professionals in this regard. Thankfully, these days there are plenty of companies in Bangalore that are providing such services at really reasonable costs and thus making it really worth the while for them. The term trademark can be viewed as a form of legal protection that is provided in case of certain names, devices, symbols, or words that would be used in relation to a certain product or service. Normally, if a mark happens to be associated with a certain service it is referred to as a service mark. However, the word trademark is used in order to signify marks that could be associated with a product or a service. The main reason why trademarks are used is in order to make sure companies and individuals are able to reveal what the source of their goods is. It also helps them create a separate identity for their products and services in the industry. With a trademark you basically have the exclusive right to use a mark. At the same time, you also have the legal right to stop others from using it. In fact, with a trademark in your name you can stop any other entity from even using a mark that could be similar to your own and thus confuse the general public. However, just because you have a trademark you would not have the right to stop another entity from selling the exactly same product or service under a mark that is absolutely and pretty clearly different. You can establish your right to own such a mark by using it in a legal way in a business or commercial setting. There are certain legalities that need to be followed in these cases and you need to keep them in mind as well. As a business owner it is absolutely important for you to be aware of the importance of trademark registration. What can be Trademarked in India? Who can Trademark their Brand or Logo in India? Since trademarks are normally used in order to save brands, catchphrases, and slogans, which are unique to businesses and individuals, from being misappropriated by others they can be used by any individual or business. In fact, not for profit entities can get trademarks in India as well. However, you need to keep in mind that the requirements in this case would depend on the class of trademark that you are filing for the purpose of registration. The type of ownership of your company would also be important in such processes. Even if you are an individual who is not doing any business as such you have the right to file for a trademark and obtain the same as per laws in India. You could do it for a word, phrase, or symbol that you would like to use in the future. When you are filing for trademark in such a capacity you would have to provide your full name. In case your company happens to be a joint ownership then you need to mention both your names on the application for the trademark. Thus, as can be seen from the examples above, you have to provide your full name in the application in your role as the proprietor. The process of trademark registration can be described as one whereby you register your unique business name, taglines, catchphrases, and captions with the relevant authorities. This means that they cannot be used by any other entity. With the help of trademark consultant from Bangalore you can get such work done rather easily. What are the Advantages of Trademark Registration? Firstly, as has already been said, when you have trademark you have exclusive rights to your mark. These days, it has become easier to avail top class logo registration services in Bangalore. The mark basically becomes hypothecated to you and thus you enjoy all the security that you want to in this regard. You get intangible property rights with a trademark as well. By getting a trademark the mark gets licensed in your name and you can transfer it later on as well. As has been said already, holding the trademark acts as a credible deterrent to entities that may have devious designs of using the same mark or something that is fairly similar. You can use this trademark in legal proceedings as well. With such a registration it is only you who can place the R word against the mark. You can use it outside India for purposes of business as well. In fact, if you already have a trademark and you want to do business in another country you can get it registered as well. This same trademark also allows you to take legal action against those who sell counterfeits of your trademarked products and services. Both Indian companies and foreign based commercial enterprises file for trademark registration in India. If you are an individual or sole proprietorship you would have to provide your word, phrase, or logo. In case you are providing a logo it is best to provide a black and white copy of the same. You also need to sign and submit Form 48. This form acts as a form of authorization from you to the trademark attorney. This allows her or him to file the application on your behalf. You also need to provide your identity proof and address proof. If you are a partnership, company, or LLP (limited liability partnership) you may or may not have to provide a copy of your logo, a signed version of Form 48, your partnership deed or incorporation certificate, your identity proof or your address proof. If you wish to be slotted as a small enterprise you would have to furnish your Udyog Aadhar Registration Certificate. So, you need to keep these requirements in mind when you go to file your trademark. You should know and understand the process to register your trademark online in Bangalore. In this context you need to keep in mind that you have to file your trademark with Trade Marks Registry in India. This process normally starts with either you or your trademark attorney looking for a trademark that may be available in the database for such marks. When you perform such a search you would come to know if the trademark registry already has an identical or even a similar trademark or not. For this purpose you would have to visit the Trademark Registrar Website. The next step in this regard is to file for the trademark. This will begin once you have chosen an available trademark. There are certain rules and regulations that you have to adhere to in this case. There is also a fee structure to be kept in mind. There are five trademark offices in India and you can file with the one that has the jurisdiction over your state or online domain. You can also hire professional lawyers and agents to act on your behalf for such purposes. Your trademark application should contain information such as your trademark or logo, your name and address, the trademark class that you are filing under, information on any trademark that you have used so far, and description of services or goods that you wish to trademark. Once you do this you would be provided a trademark application number within a couple of working days. After this you can track the progress of your application through the online trademark search facility. Normally, if you have obtained such a number you can use TM next to your service or product. After receiving your application the Trademark Registrar would verify it with the Vienna Codification established under the aegis of Vienna Agreement (1973). Once this process is out of the way the Trademark Officer in the concerned Trademark Registrar Office would receive the application. At that stage it would be reviewed for correctness and an examination report would be issued. Once the application is accepted the trademark would be brought out in the Trademark Journal. After this, if there are no objections to your trademark, the office would prepare a trademark registration certificate and a manuscript, and sent to the relevant authority. Once the certificate is issued in your name the trademark will be considered to have been registered in your name. Why Trademark Registration is Vital for My Business? How to Apply for Trademark Opposition Online in Bangalore? How to Oppose a Registered Trademark? A Trademark is usually symbols, logos, words and phrases that are used by a service provider or a product developer for identify their services or goods. Trademark registration is a lengthy process and it also includes an advertisement of mark used in a Trademark Journal. 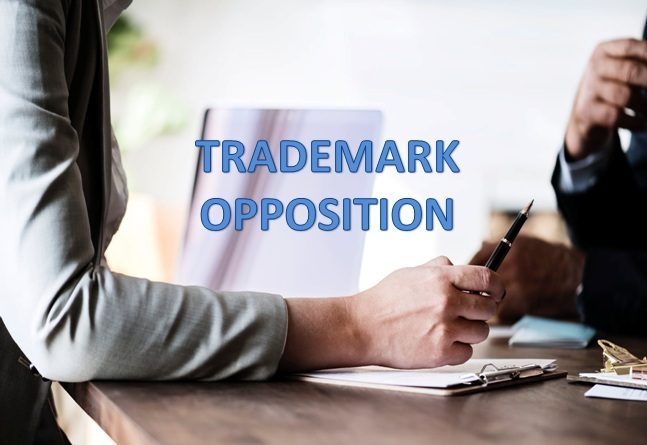 Under Trademark Act of India, during a trademark advertisement proceeding or during the re-advertisement of application for registration, a person can initiate a trademark opposition. In case a person raises a trademark opposition, the opposing party is going to have the legal option to be heard. The trademark application is also going to have the option for being heard and accordingly respond to opposition. There are a number of reasons as to why a person may want to raise a trademark opposition. Here are some of the key grounds associated with trademark opposition. The trademark is identical or similar to an already existing registered trademark. The trademark is rather descriptive in nature. The trademark registration application was made in bad faith. The trademark lacks or is devoid of any distinctive character. The trademark is prevented by law or contrary to law. The trademark might deceive the public and/or lead to confusion. The trademark is strictly prohibited under Emblem and Names Act, 1950. The trademark is considered customary in current language or according to established practices of the business. The trademark includes matters or aspects that might hurt the religious feelings and sentiments of any section or class. Application against which the trademark opposition is issued including the application number for trademark registration; the class of services or goods for which the trademark registration application has been made and name of the applicant of trademark application. The details of trademark opposition party such as name and address. Once trademark opposition notice has been filed with Registrar, the Registrar is going to give a copy of trademark opposition notice to trademark applicant. The trademark applicant needs to file counter statement within 2 months from receiving the notice for trademark opposition. If in case the trademark applicant is unable to file counter statement within prescribed period, the authorities will declare the trademark application as one that has been “abandoned”. The Registrar may choose to call a hearing of the both parties based on trademark opposition and the counter statement that have been filed. The Registrar can then choose to rule on trademark registration application as well as the trademark opposition filing according to the evidences that have been presented. 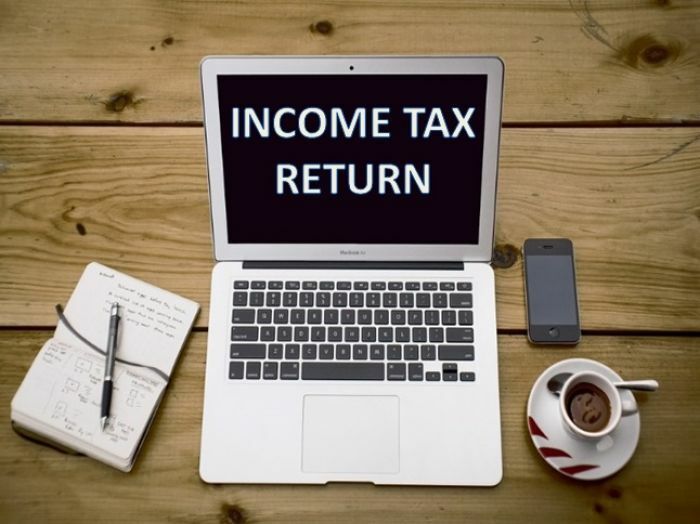 How to Do E-Filing of Income Tax Return (ITR) Online in Bangalore? The term income tax return can be described as a form or a group of forms that you file online with income tax authority of your country. In case of India it is the Income Tax Department. This includes necessary details such as how much you are earning and how much you are spending. With the help of income tax returns you are able to calculate the amount of tax that you have to pay, request refunds in case you have paid more taxes than what you should have, and schedule tax payments if needed. In India the income tax has to be filed once a year. This is applicable if you are an individual or a business that has income that is worthy of being reported. The term e-filing can also be expressed as electronic filing. This is the process where you submit your income tax returns online. There are two ways in which this can be done. The conventional way is to do it offline. Here you go to the office of the Income Tax Department by yourself and file your returns. The other way is the one that we are talking about over here. In the last few years e-filing has become a lot more popular simply because of the fact that it is a lot more convenient. You can do it for free and you also do not require to print a lot of documents as well. As far as who is liable to pay income tax in India is concerned there are several criteria that come into play. In case you are younger than 60 years and your gross income is more than a minimum level in a year you would have to pay income tax. As of now, the minimum level for people in this age group in India is INR 2.5 lakh a year. For people between 60 and 80 years this figure is INR 3 lakh. In case of people older than 80 years the minimum level is INR 5 lakh a year. As far as businesses are concerned they have to file their income tax return for a financial year. It does not matter if they have incurred losses or earned profits in the period under consideration. How much tax should one pay? As far as people under 60 are concerned there is a definite rate of taxation that comes into play. For example, people earning less than INR 2.5 lakh a year do not need to pay any income tax. People who earn between INR 2.5 lakh and INR 5 lakh a year need to pay an income tax of 5 per cent. People who earn between INR 5 lakh and INR 10 lakh a year need to pay an income tax of 20 per cent. People who earn more than INR 10 lakh a year need to pay a tax of 30 per cent. Here you can take a look at some income tax thresholds for different taxpayers. There are two ways to file your income tax return – you can upload your income tax return, or you can prepare and submit it online. 1. Prepare the income tax return by using the downloaded software (through Excel or JAVA utility form), save it and upload the same with e-filing website. Before going to filing the income tax return, you need to keep all the key documents handy with you which will make easy and take less time to complete that including the Form 16 which is given by your employers, Form 26AS (tax credit statement), bank statements, copy of returns filed last year. Step 1: To e-file your income tax return, you will have to register yourself on the Income Tax Department, Government of India official e-Filing website (https://www.incometaxindiaefiling.gov.in). Your permanent account number (PAN) will act as your User ID. You can start the process by downloading the income tax return preparation software from the official website of the Income Tax Department of India. You can get this from the “downloads” page of said website. Step 2: In the second step you have to prepare the return by using the software that you have downloaded. For this, first you need to gather all your personal financial data such as income, deductions, and tax payments to name a few. You can then go on and fill up your tax payments and other personal details by using the pre-fill button. Make sure to compare once so that you are not missing out on any important detail. Step 3: Then enter all this data and hit the calculate button. This will help you find out the interest and tax liability. You will also get to know how much tax you would have to pay or how much refund would accrue to you. If you have to pay tax then do pay the tax as soon as you can. Also enter the details in the correct schedule. Repeat this step as that would make sure that your tax payable comes to 0. Step 4: Then you should create the income tax return data and save it in XML format at a location where you want to in your laptop or desktop. After this you need to log in on the website by using details such as user ID, date of incorporation or date of birth, and password. You would have to enter the Captcha code. Once you are done go the section named e-File and click on the button that says upload return. In this case you need to choose the correct income tax return assessment file that you have already created and saved. Step 5: If you have to use a digital signature certificate (DSC) please use it. Also make sure that it is registered with the concerned authorities. Once you are done with all this submit it. If you have not used a DSC the ITR-V would be shown on successful completion of the process. If you click on that link and download the ITR-V, it would be sent to your registered e-mail. If ITR is successfully uploaded with the DSC it would mean that process of filing returns is complete. DSC verification is not compulsory for individual, but you can verify by using e-verification process through 5 ways i.e. (a) AADHAAR OTP (b) NET BANKING (c) EVC GENERATED AT BANK ATMs (d) PRE-VALIDATED BANK ACCOUNT (e) PRE-VALIDATED DEMAT ACCOUNT. Step 6: In case you have not uploaded the income tax return with DSC or AADHAAR OTP or NET BANKING or EVC GENERATED AT BANK then you should print, sign, and submit the physical documents to the I-T Department of CPC (Central Processing Centre) in Bangalore. This needs to be done within 120 days of having filed the income tax return. The return would only be processed when ITR-V is received and signed. It is important to keep checking your SMS (short message service) and e-mails for reminders in case the Income Tax Department has not received the ITR-V.
Go Green! It is better to avoid sending ITR-5, e-verify your return. Step 7: After completion of e-filing of ITR, you can go to My Account menu and click on View e-Filed Returns/Forms to check the status of Refund amount credited to your account or not. To get the refund from the filing of return, it will normally take minimum one month of time. The process of preparing and submitting ITR (income tax return) online is also fairly similar with upload ITR method but a few differences. Only ITR-4 and ITR-1 returns can be prepared and submitted through online. What is the deadline for income tax filing? Usually, the last date for filing of income tax return is July 31 of a year; but the Central Board of Direct Tax (CBDT) department has extended the due date for filing income tax returns from 31st July, 2018 to 31st August, 2018 for the financial year 2017-18. For example, you need to file the income tax return for the financial year 2017-18 on latest by August 31, 2018 for the assessment year of 2018-19. If the taxpayers file their tax return for the financial year (FY) 2017-18 after the deadline of filing return, they are liable to pay a penalty fee upto Rs. 5,000 as late fee charge and it should be file before December 31, 2018. Otherwise the payable fee may be increase to Rs. 10,000, if the tax return is filed between 1st January 2019 to 31st March 2019; And it is applicable for them; whose total income is above Rs. 5,00,000. However, the I-T Department made a relief for small taxpayers; if the total income of the taxpayer is less than Rs. 5,00,000; the maximum penalty fee shall not exceed Rs. 1,000. So, we always advised the taxpayers to file ITR before the due date to avoid paying the late fee. An ITR receipt is an important document for a responsible taxpayer as it tells more than the Form 16. While Form 16 only shows the salary and tax deductions from an employer, ITR shows the income from other sources also. 1. It helps to avoid huge penalties from tax department. 2. It helps to keep away from 1% of extra interest rate per month on the tax liability, as per the Section 234A. 3. It helps to claim your full TDS refund. 4. It helps to make easy process for applying a bank loan. 5. It helps to carry forward the capital losses which can be adjusted against the capital gains made in subsequent years. 6. It helps to make easy processing for VISA approval on travelling overseas (when you are travelling to foreign countries). 7. It helps to buy a high life cover insurance policy with sum insured of Rs. 50 lakh or more. 8. It helps to show the only proof of income and tax payment for freelancers or self-employed professionals. How to Get FSSAI License in Bangalore? How to Get MSME Registration Certificate in Bangalore? The Ministry of Corporate Affairs (MCA) has recently notified to conduct the KYC (Know Your Customer) for all directors of all companies through a new e-Form via DIR-3 KYC by August 31. According to MCA, it would be mandatory for every director who has been allotted DIN on or before 31st March, 2018 and who’s DIN is in ‘approved’ status required to file the form DIR-3 KYC on or before 31st August, 2018. And it is compulsory for Disqualified Directors whom they need to file in DIR-3 KYC form also. However, MCA has made a favour for directors and extended the deadline of filing the e-Form DIR-3 KYC for Directors from 31st August 2018 to 15th September 2018 and it is informed that all directors should file their KYC with the concerned form before the due date. As part of updating its registry, MCA would be conducting KYC of all Directors of all companies annually through a new eform viz. DIR-3 KYC to be notified and deployed shortly. Accordingly, every Director who has been allotted DIN on or before 31st March, 2018 and whose DIN is in ‘Approved’ status, would be mandatorily required to file form DIR-3 KYC on or before 31st August,2018. DIR-3 KYC notified in Companies (Appointment and Qualification of Directors) Fourth Amendment Rules, 2018. These rules are called the Appointment and Qualification of Directors which need to be submitted through e-form DIR-3 KYC to the Central Government. While filing DIR-3 KYC form, all stakeholders are requested to use PAN based DSC in case of Indian Nationals i.e. DSC should contain the PAN as specified in the form. In respect of foreign nationals, applicant’s name in DSC would be matched with his/ her name entered while filing the e-Form DIR-3 KYC. Incase the PAN/ Name doesn’t match with PAN/ Name entered in the form, they would be required to get a DSC with PAN/ Name as specified in the form. Directors of all companies who have got DIN on or before 31st March, 2018 and whose DIN status is approved are required to file e-Form DIR-3 KYC. When is the Due Date of DIR-3 KYC? OTP on Mobile and E-mail ID need to verify accordingly. Is Disqualified Directors Needed to File in DIR-3 KYC Form? Yes, it is mandatory to file DIR-3 KYC by Disqualified Directors. The MCA system will mark the approved DINs as Deactivated due to ‘Non-filing of DIR-3 KYC’. The deactivated DINs shall be allowed upon a payment of specified fee only. 1. Who is required to file DIR-3 KYC form? Every Director who has been allotted Director Identification Number or Designated Partner Identification Number (DIN/ DPIN) on or before 31st March, 2018 and the status of such DIN is ‘approved’; they need to file e-form DIR-3 KYC to update KYC details in the system as a Director on or before 31st August 2018. For Financial Year (FY) 2019-20 onwards – Every Director who has been allotted DIN/ DPIN on or before the end of the financial year, mandatory to file e-form DIR-3 KYC before 30th April of the immediate next financial year. After deadline of respective due date, the system will mark all non-complaint DINs as ‘Deactivated’ due to missing the filing of DIR-3 KYC form on time. Name, Father’s Name, Date of Birth (DOB) [all are as per the PAN information], PAN Number (mandatory for citizen of India), Personal Mobile number, Email ID and Permanent/ Present Address. In addition to this, the Directors are required to provide their AADHAAR, if not then Voter ID or Passport or Driving License. 3. Is it mandatory to enter personal mobile number and email ID in DIR-3 KYC form? Yes, it is mandatory to enter your personal unique mobile number and personal unique email ID in the form DIR-3 KYC and it has to be verified by OTP and email process. This mobile number and email ID must not be linked to other person’s DIN holder. 4. How does the OTP works in DIR-3 KYC Form? Send OTP button will be enabled only after the successful pre-scrutiny of the form. After the successful of pre-scrutiny, the applicant/ user has to click on ‘Send OTP’ button. Please note that, once OTP is successfully sent to the valid and active mobile number and email ID, the ‘Send OTP’ button gets disabled automatically and the OTP is valid for 15 minutes. 5. Who are the signatories in DIR-3 KYC form? The DIN holder and the certifying professional (CA/ CS/ CMA) are the two signatories in the form DIR-3 KYC. 6. If I am a disqualified director, am I required to file the form DIR-3 KYC? Yes, disqualified directors are required to file the form DIR-3 KYC. 7. What is the late fee for filing of form DIR-3 KYC? There is no fee for filing of DIR-3 KYC Form within the due date with respective to financial year. However, if you filed after the due date for DIN status ‘Deactivate’; a fee of Rs. 5000 shall be payable. 8. Can a non-resident director is allowed to provide Indian mobile number? No, a non-resident foreign director is not allowed to provide Indian mobile number, but he shall be allowed only to enter his/her foreign address and foreign mobile number. How to Apply for MSME Registration in Bangalore? How to Obtain FSSAI License in Bangalore? The FSSAI (Food Safety and Standards Authority of India) registration license is an initiative of the Indian Government. The main aim behind starting it was to make sure that there was no compromise on the quality of the product, that it was not adulterated in any way whatsoever, that the quality of the product was a lot better compared to what it was earlier, and to make sure that the manufacturers were accountable at all times. Each and every food business in India needs this license from this authority body in order to perform its business. It is obligatory for all manufacturing units as well as distribution units. So to get this registration, the food operators can directly go to the nearest Common Services Center (CSC) for filing the application online or can a find good agency at your location that help you in this regards. Why does a food operator need a license? Who needs the food license certificate? How to check FSSAI application status? All the restaurants, and even street food vendors, need approval from FSSAI to do their business. It does not matter how much they earn in a year – they have to have this license. Operators in the food business of India need to apply for this irrespective of the scale that they are operating at. Normally this license provides you a 14 digit license or registration number. You can print this numeric license number and use the FSSAI logo on the package of your products to promote the business. Basic Registration: You can apply for the basic license if your turnover is lower than INR 12 lakh. State Registration: If your turnover is between INR 12 lakh and INR 20 crore you can apply for a state license. Central Registration: If your turnover exceeds INR 20 crore you should apply for a central license. And the business operators can choose the food license based on their root. Apart from this, a normal food business operator must require the basic food license. If your products are superior quality to others, safety and healthy, no adulteration, value for money, more demanding and you want to expand the business then you can go for state or central license. Why does a Food Business Operator Need a License? There are several reasons as to why FBOs (food business operators) such as you need to apply for this license apart from the fact that it is mandatory. But here we have just mentioned only 5 points. You need to make sure that your consumers do not fall ill or their safety is not compromised in any way after consuming your product. The license happens to be a great tool of marketing and this is one reason why it can boost your business to such an extent. The license is necessary to make sure that you are able to provide the finest quality of food to the people. This license also helps you stay at par with the statutory requirement of the government as well. This is recognition from the union ministry of health and family welfare assures the common consumers that you are providing the finest quality of food to your consumers. The FSSAI license can help you expand your business quite easily as well. With the help of this license you would also find it easier to raise money from financial institutions such as banks and expand your business. You can use the logo on pamphlets and menu cards as well and it would be a sign of the fact that the food you are selling is superior to others in terms of quality. Who Needs this Food License Registration? As it is stated by the laws in India, the food operators who are engaging in food businesses such as food preparation, packaging, storing and selling the products, they have to acquire a relevant FSSAI registration license from the authority. So each and every FBO has to apply for this license and procure it. A food business is basically one that takes part in making, storing, packing, and distributing food. It could also be one that imports or exports food, and processes food. As far as FBOs are concerned there are a wide range of rules and regulations that it has to follow in order to get this license just so that you are able to sell their products and services in the market. If you do not have an FSSAI license you could be imprisoned for as long as 6 months and you may have to pay fines that are as high as INR 5 lakh. If you have issues with the quality of your food you may have to pay a fine of INR 5 lakh. The penalty is the same in case of subpar food. In case someone dies by eating your food you would have to pay at least INR 5 lakh. In case someone is injured seriously you may have to pay a maximum fine of INR 3 lakh. The figure is same in case of other injuries as well. The license has to be taken for a period of at least a year. At the most it can be availed for 5 years. As an FBO you can apply for a license on the basis of the demand and supply of the product in question. As far as small vendors and startups are concerned it is better to have at least a basic license. When the business expands you can go for a central or state license as well. If you want to renew it you should apply for the same at least 30 days before the validity period expires. If you fail to appeal within this period you may have to pay fines as well. This is the reason why you should apply for the same within the prescribed time. You can also call 9069142028 for help in this regard. In fact, as far as getting this license is concerned you can seek help from registration agents working in the Garden City. They happen to be licensed by the authority body itself and would thus help you to get this job completed with ease. These agents employ experts with regards to the kind of food license that would be just what the doctor ordered for you. However, it is always better to keep checking the internet and getting touch with the authorities in order to get the latest information in this regard. In this regard, we can help you to get your FSSAI registration done in Bangalore or any other cities in India; as we are a leading company registration consultant in Bangalore provides valued services to our clients. So we give value to your business and always happy to serve you. If FBO is operating in more than one state, one additional Central License for Head/ Registered Office is required. FSSAI provides opportunity for Food Business Operators (FBOs) to apply for online registration through FLRS (Food Licensing & Registration System) to get the license/ certificate all over in India. 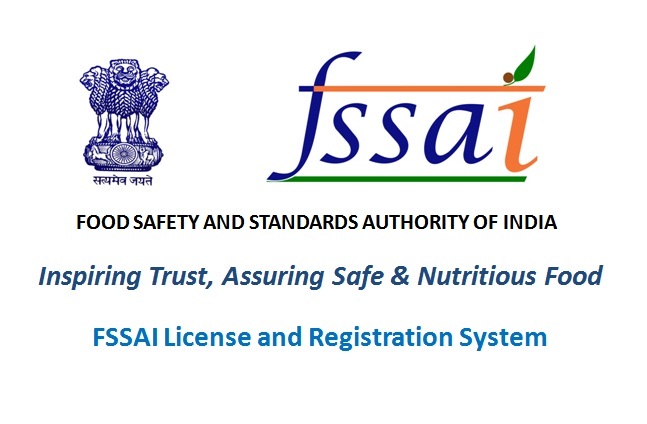 The process of application for FSSAI license and registration in Bangalore, Karnataka covers under the rules and regulations of FSSAI and getting license for FBO happens according to their business eligibility whether they are eligible for only Registration or State License or Central License as per their capacity/ turnover. The food business operators like manufacturers, storage, importers, wholesaler, retailer, distributor, supplier, caterer, hotel, restaurant, transporter and marketer are need to acquire their license based on their annual turnover/ production or storage capacity. Here are the 4 steps for FSSAI registration which help you to know and understand the documentations, fee structures and process of FSSAI license. Before filing the application form, you need to read the fee structure/ payment mode and supporting documents list from the below section which is must required for it. Step 1: In first step, you have to check your business on FSSAI portal https://foodlicensing.fssai.gov.in which falls on what type of license category based on your eligibility of FBO (Food Business Operator). Accordingly, you will have to go for that registration in Step 3. You can register your food business for Simple Registration/ State License/ Central License as per the category of your business under the FSSAI Law by choosing the correct one option from the portal. If your food business comes under small category, turnover within Rs. 12 lakhs then you are eligible for Basic License Registration. If your food business comes under medium category, turnovers between Rs. 12 lakhs to Rs. 20 crore; then you are eligible for State License Registration. If your food business comes under large category, turnover exceeds Rs. 20 crore then you are eligible for Central License Registration. For each (Basic, State and Central) license, the applicant/ FBO has to SIGN UP and create new Username and Password for the application process which has mentioned in step 2. Note: It is important that the applicant/ FBO must have a valid and active Email ID and Mobile Number, because the login details shall be generated automatically by the system and mailed/ SMS you same accordingly. Step 2: In second step, Sign Up your FBO by clicking on “Sign Up”; fill the field online, create your Username and Password and click on “Register” button to complete the FBO sign-up process successful. A confirmation mail will be sent to your E-mail and Mobile Number for verification and future purpose. Step 3: In third step, you will be logon to Existing Users Login, choose your own business type in FLRS (Food Licensing & Registration System) and fill the application form with all field and attach the necessary documents then submit it. For Simple Registration: Form-A FSSAI application is required to file by the FBO for Basic Registration/ Renewal of Registration under the Food Safety and Standards Act, 2006. FORM-A FSSAI registration application needs to be filled by the applicant with affixing photograph and signature and submit this along with the supportive documents. It is a must required document which helps to get FSSAI basic license. For State and Central Registration: FORM-B FSSAI Registration application form is required to file by FBO/ applicant for State and Central License. Fill the application Form-B and certify the applicant signature and submit it. Form-B FSSAI license is a mandatory document which needed to filing for acquiring state or central license. After submission of application online, the applicant/ FBOs should take a print out of that Online Application Form which is generated through the system and submit the same physical application to Regional Authority/ State Authority with all supportive documents within the 15 days from the date of online application. Step 4: In fourth step, the FBO/ applicant can apply for Modification, Renewal and Duplicate License Certificate through FLRS. In case of Form-B, it should be properly signed and completed in the duplicate form; this can be done by the authorized signatory, partner, or proprietor of the company. As far as the blueprint or layout plan of the processing unit is concerned, it should show the dimensions of the same in meters or square meters; it should also show allocation of area with respect to operations. This is however mandatory only for the processing and manufacturing units. With respect to the list of directors, partners, proprietors, or executive members of the trust or society it should contain their complete address and contact details – this however is mandatory only for the companies. In case of the lists and names of machines and equipments being used they should have the numbers, horse power used, and installed capacity. This is however mandatory only for the processing and manufacturing units. With regards to the address proofs and photo IDs of proprietors, partners, directors, or authorized signatory the documents furnished should have been issued by the government. The list of food categories that the company wishes to make is applicable in case of only the manufacturers. As far as the authority letter with address and name of responsible persons who have been chosen by the manufacturer is concerned an alternative responsible person should be mentioned as well; the powers provided to them should be indicated as well with respect to helping officers during inspections, picking, collecting samples, and dispatching. This is mandatory only for the manufacturers and processors. The bacteriological and chemical analysis report of water that would be used in order to make the food should be from a familiar or public health laboratory; it should confirm that the water is portable; this is obligatory only for the processing and manufacturing units. In case of the proof of possession of company premises one can furnish the sale deed, electricity bill, and rent agreement; this is optional though. The Coop Act certificates are only supposed to be provided by the cooperatives. The no objection certificate (NOC) and copy of license from manufacturers’ only needs to be provided by repackers and relabellers. Declaration certificate to be uploading. Source of raw material in case of meat and meat processing units/plants. Every Food Sources counts as Restaurants/ Dhabba/ Clubs/ Boarding Houses/ Canteens (in Schools, Colleges, Offices, Institutions)/ Caterers/ Banquet Halls having food catering arrangements/ Food Hawkers/ Dabbawallas & other food business operators. Depends on number of years selected. Fees for modification of license for 1 year will be charged same during modification. The above mentioned document list for state license is necessary for getting Konkan/ Indian Railway license. So you need to prepare the essential papers at the time of application. To obtain a central license for your food business in any part of India; obviously, it is essential to prepare huge documents for it. Certificate from Ministry of Commerce and Industry, Department of Commerce for 100% export oriented unit (EOU). Supporting document to show the proof of annual turnover. NOC/ PA document issued by FSSAI department. Import Export (IE) Code certificate issued by DGFT. The food operator can make the payment by any one of these methods – demand draft, treasury challan, or Syndicate Bank treasury challan. This can be done in case of the Registration Certificate and the State License. In case of a new license if your daily production is around 1 MT (metric ton) you would have to pay of INR 5000 for each year. The same is also applicable in case you produce between 10,001 and 50,000 LPD of milk or between 501 and 2500 MT of milk solids in a year. However, if your food production is lower than 1 MT in a year you would have to pay a yearly fee of INR 3000. This is also applicable if you produce between 501 and 10,000 LPD milk in a year or if, your annual milk solids production is between 2.5 MT and 500 MT. If, you are owned a 4 star hotel or lower you would have to pay a yearly fee of INR 5000. There are two major modes in this case – (1) Bank Challan and (2) Treasury Challan. How to Track FSSAI Application Status? 1. Visit to this page https://foodlicensing.fssai.gov.in/Index.aspx; scroll down slowly to middle, look at “Track Application Status” text link from right panel as mentioned in below screenshot. 2. Enter the Application Reference Number, Captcha Code for verification and click on “Go” button. Then it will display your FBOID, Application Reference No, Name of the Company, Date of Application, and Address of the Company, State, Type of Application, and Status of Application as shown in below screenshot. If your application is under verification, it will show Under Review on status. Some businesses are efficient and productive; preparing good food for their happy customers and owned trust from them as went on through proper legalization. As you are building out your business, think about the product quality, create a brand and take protection need for it. By registering your business name with specific regulatory will be the right legal steps to enforce the business. How to Get MSME Registration in Bangalore? How to Get Import Export Code Registration in Bangalore? How to Apply for Shop and Establishment Registration in Bangalore? How to Apply for MSME Registration in Bangalore Karnataka? These days, there are several reasons as to why a number of small and medium enterprises (SMEs) are being formed in Karnataka as well as other parts of the country. You can be considered eligible for lower rates of interest on loans, you can get subsidies on power tariffs and tax subsidies, and you can become a part of capital exemption schemes and receive capital investment subsidies as well. You can also be granted exemptions from direct tax laws. These days, all the states and union territories in India have their own special packages whereby they provide incentives and facilities for the small scale companies. There are some other benefits of forming such a company as well. They need a very short period as far as conceptualization is concerned. They are mainly labor intensive, which is available abundantly and for cheap in India. As far as decentralization of power is concerned they are great indeed. All the benefits that accrue to an SME come through the MSMED Act that has been passed by the Government of India. And its registration is free of cost, no need to pay any fees to Ministry of MSME department; but it is very important to be registered as an MSME in order to get the special benefits from central and state government of India. This is an initiative program of govt. to accelerate and promote the easy of doing business. Why an Enterprise Needs MSME Registration? Benefits of Registering an Enterprise under MSME Act. How to Get the MSME Certificate? 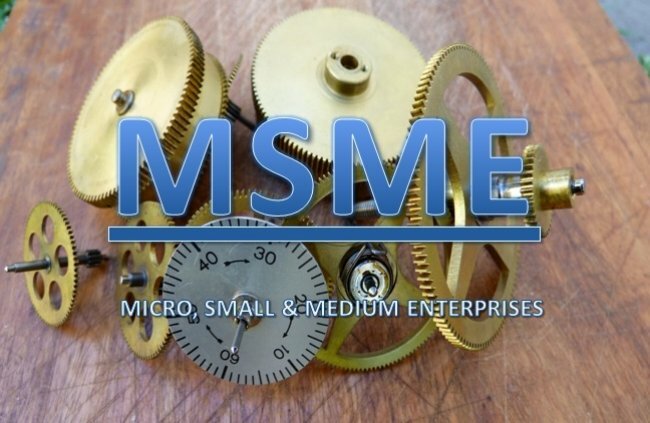 MSME means the enterprises or industries that’s stands for Micro, Small and Medium Enterprises, as the name indicates that it includes with the enterprises which may be a medium level or below medium level or below to below medium level with respect to their terms of productions, services and investment towards the business goal. As stated by the Ministry of Micro, Small & Medium Enterprises department, manufacturing and service based industries are required to invest capital on plant & machinery and equipment head. Therefore, the manufacture industries are defined as in terms of investment in plant & machinery where as the service provider industries are defined as in terms of investment in equipment. Enterprises of manufacturing or production sector can be invested the amount in plant and machinery field as mentioned by the below limit. Micro Enterprises: A micro enterprise can invest capital upto Rs. 25 lakh in plant and machinery (≤ 25 lakh). Small Enterprises: A small enterprise can invest capital Rs. 25 lakh to Rs. 5 crore in plant and machinery (> 25 lakh and ≤ 5 crore). Medium Enterprises: A medium enterprise can invest capital Rs. 5 crore to Rs. 10 crore in plant and machinery (> 5 crore and ≤ 10 crore). Enterprises in the service sector can be invested the amount in equipment field on the basis of the below information. Micro Enterprises: A micro enterprise couldn’t exceed Rs. 10 lakh of investment in equipment (≤ 10 lakh). Small Enterprises: But in case of small enterprise, you can invest in equipment and furniture purchase more than Rs. 10 lakh but shouldn’t more than Rs. 2 crore (> 10 lakh and ≤ 2 crore). Medium Enterprises: In medium enterprises case, a business holder can invest the amount more than Rs. 2 crore but not more than Rs. 5 crore in equipment sector (> 2 crore and ≤ 5 crore). The current classification is based on the investment in plant & machinery for products based companies and equipment for services based organization. Here we want to inform one thing that the government is going to be revised the definition of MSME, the decision has taken at the Union Cabinet Meeting on classification of MSMEs on the basis of their annual turnover. They don’t want to make distinction between Manufacturing and Service unit. They are thinking to give the same priority to both of the sectors. In this proposed amendment, they may want to do the threshold criteria for enterprises; means those enterprises having annual turnover upto Rs. 5 crore would be considered/ termed as Micro, Rs. 5 crore to Rs. 75 crore would be termed as Small and Rs. 75 crore to Rs. 250 crore would be termed as Medium enterprise. The change would be effective when the proposed amendment to Micro, Small and Medium Enterprises Development Act, 2006 come into effect. MSMEs have the pivotal role in nation like India for their growth and development, so that’s why state and central governments have conceptualized to provide the maximum benefits to the enterprises those who are falling under the MSME scheme. MSME enterprises are the backbone of India which can trigger the economic growth of a developing country like India and also developed countries in the world. So many of the economists in the world termed the MSMEs as “Engine of Growth” which plays a key role for development of any country; if I am not wrong, India is heading towards the engine of growth. MSME is playing an equitable and prominent role for building the development of country’s growth by creating potential employment opportunities for young Indians at a low capital cost. So we request you to do your enterprise registration and be a part of nation building concept. Why We Should Do MSME Registration? Acquiring MSME registration certificate is not legally mandatory for a business or enterprise but you have to acquire the advantages, through it an organization can grow like a tree. So we will be advised you always that registering your enterprise under MSME scheme can get a variety of several benefits from the government sectors including lower interest rates, excise exemption scheme in respect to specified commodities, tax subsidies, exemption under Direct Tax Laws, power tariff subsidy, capital investment subsidies, etc. If you need our assistance, then we will be helping you to get your MSME registration certificate in Bangalore Karnataka or any other cities in India within a stipulated time period. As per MSME Annual Report 2017-18, the below image is representing the estimated size of registered enterprises (activity wise) in India; really they are performing well for the sake of themselves as well as for nation’s growth. Why should an enterprise register under the Udyog Aadhaar and what are the facilities it will get from MSMED? To encourage the growth of MSME both State and Central Govt. are immensely targeting their incentives, subsidies, and schemes and support packages to the registered MSMEs through MSMED Act, 2006. After registration, any enterprise can be qualified to gather or avail the benefits offered under the MSMED Act. So the advantages or benefits will be offered to the MSMEs according to their classifications and competitiveness. Here look at some key benefits of MSME registration under the Act of government to the enterprises. 1. Easy Availability of Loans from Banks: All banks are ready to lend the business sectors according to their setup and apart from this, MSMEs are recognized by banks, they offer financial support with lower interest rate as compared to typical business rate. 2. Tax Rebates under the MSMED Act, 2006: MSME registered business may enjoy multiple tax exemption scheme and capital gain tax subsidies from the government. 3. Easy Access to Credit: Mudra Yojana Scheme has introduced by PM Modi which provides loans to MSMEs without security. And enterprises can take the advantage from this scheme to raise their business. 4. Get Benefits from State Governments: Those enterprises that have registered under MSMED Act for them most of the states and union territories offers subsidies on power, taxes, entry to state-run industrials, capital investment subsidies and also exempted from sales tax. 5. Get Benefits from Central Governments: Enterprises can get easy sanction of bank loans on priority sector lending, excise exemption scheme, exemption under direct tax law, lower the rates of interest and support such as reservation, etc. Apart from this central government announces various schemes from time to time for MSMEs where they can get benefit from it and creates an environment for opportunities. 6. 50% Discount on IP Protection: Government will financially support to technology startups for International Patent Protection in Electronics and IT (SIP-EIT) by reimbursement up to 50% of total patent cost, with Rs. 15 lakh limit. 7. Credit Guarantee Fund Scheme: This credit will be eligible to micro and small enterprises covering the credit limit per borrower from Rs. 100 lakh to Rs. 200 lakh as in recent update on 20th February, 2018 by Credit Guarantee Fund Trust for Micro and Small Enterprises (CGTMSE). 8. Capital Subsidy for Technological Upgradation: This scheme is operating for modernization of technological upgradation of Small Scale Industries (SSI) through the Credit Linked Capital Subsidy Scheme (CLCSS). An enterprise can get ceiling loans under this scheme from Rs. 40 lakh to Rs. 1 crore and the rate of subsidy from 12% to 15%. 9. Market Development Assistance for Micro, Small & Medium Enterprises: This scheme helps funding for participating international fair, trade delegations, publicity, etc. The Government will repay 75% of air fare in economic class and 50% of space rental charge for general category and 100% of air fare in economic class and space rent for Women/ SC/ ST entrepreneur. How to get the MSME certificate in Bangalore? We want to clear here one thing that applying for MSME and getting the registration certificate in Bangalore Karnataka or any other cities in India will be the same process for every state; you have to follow the Udyog Aadhaar registration process to get the UAM (Udyog Aadhaar Memorandum) number in India. You don’t need to be confused, where to apply and how to apply. Because all the application process for MSME registration in India would be done completely on online through the help of Udyog Aadhaar portal only i.e. https://udyogaadhaar.gov.in/ which is the official website for MSMEs and startup; is maintained by the government of Ministry of Micro, Small and Medium Enterprises. You would be happy to know that there are plenty of companies in Bangalore as well as the rest of Karnataka that can help you get an MSME (ministry of micro, small and medium enterprises) certificate and that too within a span of 2 to 5 working days. And this certificate is valid for the lifetime of your organization and both service and manufacturing sector companies can avail the same. There is no limit on the number of companies that can be registered by a single entity. It also helps that these services are rather economical. 1. Just visit https://udyogaadhaar.gov.in/UA/UAM_Registration.aspx for new MSME or SSI registration under MSMED Act. 2. Enter Aadhaar Number and Entrepreneur Name as per Aadhaar card and then click on Validate & Generate OTP button, a one time password will be come to your aadhaar registered mobile number. You have to just verify the OTP. 3. In Social Category field, you have to choose one option (General, Scheduled Caste, Scheduled Tribe or Other Backward Class) from the dropdown. 4. In Gender field, the applicant has to select the gender of entrepreneur. 5. In Physically Handicapped field, you have to select the physically handicapped status (Yes or No) of entrepreneur. 6. In Name of Enterprises field, the applicant must have to fill the enterprise name which is known by your customer. 7. In Type of Organization field, the applicant has to choose one of his/her organization name from the radio buttons like Proprietor, Partnership, Company, etc. 8. In PAN Number field, PAN number is required for Co-Operative Society, Private Ltd, Public Ltd or Limited Liability Partnership (LLP). But it is optional for other business type. 9. In Location of Plant Details field, if your organization has multiple plant location, you can add it in one registration by clicking Add Plant button. 10. In Official Address of Enterprise field, the applicant should fill the details appropriate field with complete postal address of the enterprise including State, District, PIN Code, Mobile No and Email. 11. In Date of Commencement field, enter the operation date of your business from which day you’ve started it. 12. In Previous Registration Details (in any) field, if you have already applied Udyog Aadhaar registration for an enterprise and issued a valid EM-I/II through the respective concerned GM (DIC) as per the MSMED Act 2006, such number have to mention in appropriate place. 13. In Bank Details field, you must provide your bank account number that is used for running the enterprise and also mention the IFS Code of the bank’s branch office. 14. In Major Activity field, here you have to choose what your enterprise is doing for, either “Manufacturing” or “Service” under Udyog Aadhaar. If your business involves in both type of activities and major portion of work covers in Manufacturing sector and small portion of work covers in Service sector; then select you major activity type as “Manufacturing” and if major portion of work covers in Services and small portion of activity covers in Manufacturing; then select your major activity as “Services”. 15. In National Industry Classification Code (NIC Code) field, you have to choose multiple National Industrial Classification (NIC) Codes for your all business activities relating to “Manufacturing” or “Service” sector. And here these activities are classified into 3 categories; you should choose it one by one through NIC Code just typing two or more characters of activity in search box. 16. 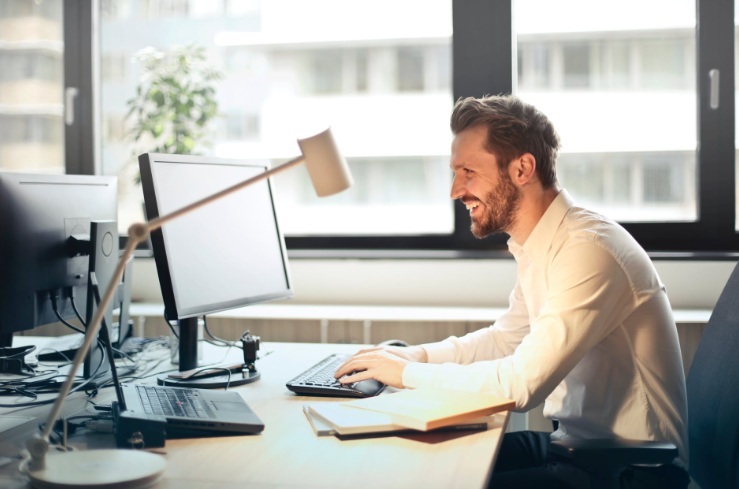 In Person Employed field, here you have to give information on how many employees are working with you and who have been directly paid their salary/ wages by the enterprise. 17. In Investment in Plant & Machinery/ Equipment field, so here you have to enter the total investment (purchase value of items) cost for enterprise. 18. In DIC (District Industry Centre) field, according to the location of enterprise; you have to fill the location of DIC. While filled the DIC location, the column will be active and show options, if is there any DIC is available for that district or not. If there is only one DIC in the district system, it is automatically register your enterprise in the same DIC. 19. In Submit field, the applicant should click on Submit button; where it creates an OTP which will be sent to your Aadhaar linked Mobile Number for registration purpose. You need to enter the OTP on specified field and verify it for application submission purpose. 20. In Final Submit button field, you need to verify the captcha code and then click on Final Submit button. And here your application process for MSME registration is finished now. And you will get an applied application form of Udyog Aadhaar Memorandum (UAM) bearing with UAN (Udyog Aadhaar Number). Click below on Print button to get it as pdf format for future purpose. At the same time; just below the Print button, a registration certificate option will be there; by clicking on that, you will get a system generated Udyog Aadhaar Registration Certificate from this. How to Verify UAM Online? It is easy and simple, you can do it for your UAM. 1. Visit to home page of Udyog Aadhaar site and you’ll find “Verify UAM” menu on top of the header of menu bar. 2. Click on “Verify UAM”, enter your 12 digit UAM Number and make verification with Captcha image and click on “Verify” button. It will show all your details of business for what you’ve registered for. How to Apply for Import Export Code Registration in Bangalore? Why and how to Apply for Shop & Establishment Registration in Bangalore? How to Change Designated Partner in LLP? In India, a partner could be removed from an LLP (limited liability partnership) or she or he could want to resign for a variety of circumstances. However, there are some rules and regulations that have to be followed in this case. The resignation or removal needs to be recorded in the right way and relevant filings have to be made with the Ministry of Corporate Affairs of India. This would make sure that the resignation or removal of the partner would come into effect properly. As per the LLP agreement between partners a partner can stop being a partner. If there are no restrictions in the LLP agreement then a partner can resign just by providing a notice that she or he is resigning within a period of 30 days. A person will remain a partner in an LLP till the time that the other partners in the same LLP are not notified in a written manner regarding her or his intention to resign. The same also applies till a notice is provided to the Registrar to that effect. 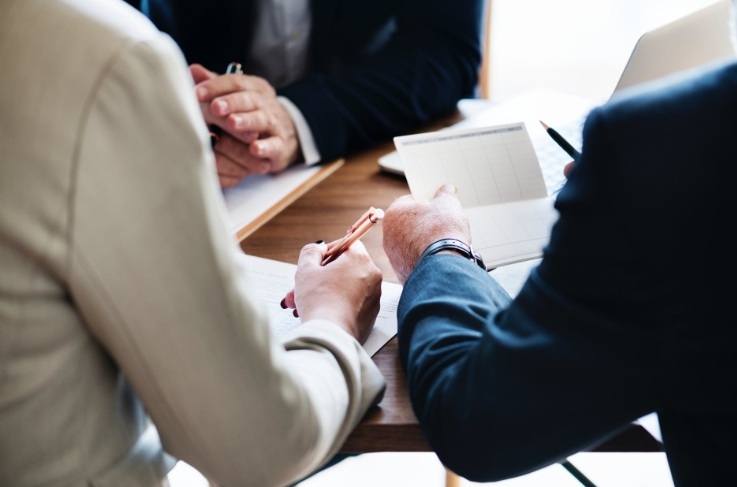 In case a person is unable to continue being a partner in an LLP owing to insolvency or death she or he would be entitled to a number of benefits from that entity itself. She or he would receive an amount that happens to be equal to the capital contribution that she or he made when she or he was a partner. Such a former partner would have also a right to a share in the accumulated profits that should be adjusted for accumulated losses provided there are any at all. The date of determination in this case would be the date when the concerned person stopped being a partner in that LLP. Such a partner also has the right to transfer her or his right to share in the company’s profits and losses. She or he can also receive distribution that will be provided as per the LLP agreement. In case the partner has resigned or has been removed then the rights of this outgoing partner would be determined as per the provisions that have been mentioned in the LLP agreement. At the same time the former or outgoing partner will also be held responsible for the liabilities suffered by the LLP during her or his tenure. They shall continue and not be discharged under any circumstance whatsoever. A person cannot be forced out of her or his position as a partner in an LLP until and unless such rights are bestowed on the other partners by the LLP agreement. In that case Form 4 needs to be filed in order to eject that particular partner. In order to make sure a partner can resign, be removed, or secede from an LLP the firm needs to file the LLP Form 4. This needs to be done within a period of 30 days of the removal, cessation, or resignation of that partner. The form needs to be signed by a designated partner and should be filed alongwith a certificate that is provided either by a practicing cost accountant or the Company Secretary or a chartered accountant. Whoever provides that certificate needs to certify the fact that the records and books of that LLP are correct and true. After this the applicant needs to apply for the DIN (Director Identification Number). Once the applicant gets her or his DSC she or he would have to use the DIN in the form DIR-3. She or he would also have to provide id and address proofs. After the proposed designated partner gets the DIN the other current partners of the LLP would call a meeting. In this meeting they would pass a resolution whereby they would add the designated partner to the partnership deed. For this a supplementary partnership deed would have to be drafted and it is here that the name of the new partner would be added. After this the incoming partner would provide her or his consent in writing. Once these documents get ready the LLP would need to file the LLP Form 4. This needs to be done within a span of 30 days of appointing the partner. Along with this it would have to furnish the original partnership deed as well as the supplementary one. Once all these forms have been filed the designated partner’s name would be added. It would also be visible on the official website of the Union Ministry of Corporate Affairs of India. If the LLP fails to file Form 3 and Form 4 within the stipulated period of 30 days it would have to pay an additional fee of INR 100 for each day of delay. These days, it is being seen that LLP has become the company type of choice for many businesses and much of this has to do with its convenient nature as well as lack of compliances. How to Shift or Change the Registered Office Address a of Company?